On 11 September 2016 Belarus held a parliamentary election. Even though the election lacked the uncertainty inherent in a democratic contest and the result was largely preordained, like many elections held in partly and non-democratic regimes the one in Belarus was neither entirely meaningless nor it lacked any intrigue. Belarus is a presidential regime. Therefore, in contrast to presidential elections that are often staged to signal regime strength and typically feature 75-90 per cent of votes cast for the incumbent with an equally high turnout, I think that the point of the legislative election this time was mainly to stage a process that would have appeared to have made some kind of democratic progress, and have it recognized as such by the foreign audience, without actually altering the fundamental nature of an undemocratic election. The pursuit of high turnout and a “big win” was not really necessary. Instead, it was a carefully calibrated exercise in instilling apathy among the voters so that the election campaign would largely go unnoticed, while attempting to achieve a reasonable turnout at the same time so that it does not look too bad. To appease the Western governments and international organizations, the authorities probably decided that they could afford to tolerate certain minor improvements in the administration of parliamentary elections because the latter are not that important. They are not important because the parliament itself is not important: it has been a paradigmatic “rubber stamp” for 20 years since the 1996 constitutional referendum when a democratically elected parliament was dismissed and a personal rule of President Lukashenko has been established. With a possible exception of a hunger strike of three sitting members of parliament protesting against the government in 2004, the legislature has been, and is, completely docile. After each election, the parliament is predominantly stuffed by the representatives of regional and local administrative elite, of the state enterprises, by educational and medical professionals, with a dozen of businessmen or athletes on top of that – as aptly described by the head of elections, Lydia Ermoshina, so that it has “an absolutely adequate composition and mirrors the larger society.” The members of parliament do not engage in policy debates, their lawmaking largely follows the instructions from the executive. Typically, the majority of election posters ignore national issues and emphasize vague promises of pork for the candidates’ districts. The overall impression is that these, and previous legislative elections were akin to local council elections in their significance for the nation. Arguably, to call them even a second-order election is a stretch of imagination. Times change, the money tends to run out, and it does not hurt to signal that Belarus considers the prospect of political liberalization not completely inconceivable, especially if it does not endanger regime stability and there is something to gain in return. How have the Belarusian authorities fared in terms of projecting democratic improvements? Out of 30 changes recommended by the OSCE of which Belarus is a member-state, before the 2016 election the authorities arguably chose to address only three. The head of elections, Ermoshina, argued that the rest could not be addressed quickly since changes required were very significant and would have entailed constitutional amendments or the acts of parliament and that there was no time for that. She did not elaborate however what prevented the parliament to change the “easier” ones well in advance, even if constitutional amendments were indeed out of question. In the end, they ignored the recommendations that really mattered: i.e., to introduce meaningful guarantees to include the opposition into regional and district election commissions, to ensure that the election observers were able to observe the outcome, that is, what was “ticked” on each ballot during the counting process, to ensure the equal coverage of campaign activities, etc. One of the strong recommendations that the OSCE made earlier was for the election officials during the counting process in each polling station to announce publicly how each ballot was cast. The Central Election Commission (CEC) on 17 May could not really come up with good reasons why announcements were out of the question. Instead, they provided the following “rationale”: “… we explained that the CEC was unable to introduce this norm.” Of course the CEC was not able to introduce it, it would not have been Belarusian CEC if it was. They also did not address the “bogeyman” of Belarusian elections, the advanced ballot. During the advance ballot during one week in the run-up to the election day, up to a third of voters cast, or in case of students and public sector workers — are strongly incentivised to cast, their votes. The process is largely opaque and can be manipulated. In their defence, the Belarusian Central Election Commission (CEC) frequently referred to the fact that the percentages of advance and postal ballots in Belarus were close to those in the US; the recent mess with postal votes in 2016 Austrian presidential election in all likelihood brought nothing but delight to the street of Belarusian CEC. While such delight at observing the “teachers” of democratic standards tripping over something they themselves criticise in others is probably understandable, almost always such hiccups are checked by strong institutions and party competition that Belarus did not and eos not have: e.g., in Austria the losing candidate was able to challenge the results of a second round in the Constitutional court that in turn annulled the results and called a new election. Last time a post-Soviet court has annulled an election result was in December 2004 in Ukraine – a more open political regime than the one in Belarus – and even then the judges only did so after an unprecedented campaign of civil disobidience and, arguably, regime split and defections. The regime of Alexander Lukashenko needed to send a signal that his regime was willing to improve, to democratise the election process. Perhaps believing that the West simply needed an excuse to embrace Belarus in the current international climate of tensions with the resurgent Russia, Belarus has adopted the very minimum of possible changes, and no more than that. For election, 630 candidates were nominated, 531 were registered and 484, including a large number from the opposition, competed. By rather bleak standards of many elections in the past, this time the candidates were able to campaign, to a considerable degree, freely. The CEC has also increased the number of transparent ballot boxes, and the election observers were permitted to observe the ballot count, albeit at a three-meter distance from the counting table. They were not permitted to cross the three-meter threshold and to approach the table — after all, the CEC believed that permitting more than that could have enabled the observers to start a riot, overwhelming and distracting the election officials, heavy police presence notwithstanding. Really, this is what they alleged several times during the press-conferences. The observers therefore, whether myopic or those lucky to have 20/20 vision, could not really see what preference was actually chosen on the ballots during the count. Arguably, a three-meter unhindered observation is a vast improvement over previous elections where observers were not able to observe anything but the backsides of election officials from a much longer distance. The current improvement therefore is that during the counting process at polling stations, the observers were able to see the officials placing ballots in separate piles for each candidates. In turn, the observes could therefore have made the rough estimates about the total number of ballots, or the distribution of ballots for different candidates. But this is as far as the liberalization of electoral process could go. After separating the ballots into several piles for each candidate, these piles were placed on a different table for tabulation that the observers were unable to see however. The counting table therefore was not “the” table. “The” table was the second table. On that second table two election officials including the trusted chairperson and her chosen assistant were tasked to make tallies, to enter the results in tables and in principle they could have declared any figures, even the product of their imagination, whatsoever without any hindrance or observation. The process of administering the count worked smoothly and efficiently in 2016, practiced to perfection in close to a dozen legislative and presidential elections since 1991 by now. Even though the OSCE has recommended to include the opposition nominees into regional and district election commissions, “usual suspects” were appointed instead; only very few representatives of civil society and opposition parties were included. Thousands of trusted election officials, usually from the ranks of local authorities and the public sector, those who worked together in previous elections and learnt not to rock the boat during the process, participated. To incentivise the electorate, polling stations featured the food buffets at subsidized prices. The OSCE concluded that “coverage of candidates’ campaign activities, meanwhile, was virtually absent and largely limited to short, pre-recorded speeches.”  The campaign itself was almost invisible, an exercise in apathy. The state media missed the whole point of election coverage and instead focussed on the activities of the Central Election Commission, i.e., regularly reporting how many candidates they registered, covered the CEC meetings with the representatives of international organizations, explained the technical aspects of how election was organized, etc. The state-run media largely ignored the candidates, their campaigns, interviews, their policy programs, arguably defeating the whole point of the exercise. Instead, during campaign, electronic and print media largely focused on the activities of the president and other officials. It is a bit like covering the X Factor but only focusing on Simon Cowell and completely ignoring the participants and their acts. While the candidates, including opposition candidates, were granted some air time, the time slots were often awkward and it was not clear who was slotted to make their speeches and when. Overall, the impression among the public was that even though there was an election campaign in August and early September, it was not clear or well known who was running and why. Instead, the overall appearance was that a number of faceless and interchangeable and non-partisan candidates who were all standing for various positive things and against various negative things, with little policy specifics, were slotted to be endorsed on 11 September and that voting for alternatives was completely futile. Not very exciting then. What of the results? The Central Election Commission declared 75% turnout countrywide — “politically correctly” lower than in presidential elections or referenda, with 62% turnout in the capital city. All 110 seats for the lower chamber were filled. Apart from a three-meter advance and a number of transparent ballot boxes, in a further signal of electoral liberalization to the West, the opposition was permitted to increase their legislative representation from zero to two seats. Two non-governmental candidates, both female, Anna Kanopatskaya from the United Civic Party and Elena Anisim from a well-known NGO supporting Belarusian language and culture – were announced winners in their constituences. The OSCE picked up on that: “We note that, for the first time in 12 years, some members of the opposition will be represented in the parliament.”  The pro-democratic opposition fielded a number of attracting candidates in many constituencies including the former presidential candidate, Tatiana Korotkevich who contested presidential elections in 2015. Perhaps precisely because she dared to run against the president in 2015 or because she failed to congratulate the winner then, in 2016 the election factotums were probably told to write in Kanopatskaya as the winner instead, who ran in the same single-member constituency with Korotkevich. Altogether, 38 women candidates were elected, 27 old MPs were re-elected again, and only 16 members represented political parties. Belarus has a bicameral parliament. Two days after 11 September election for a lower chamber, 56 members of a second chamber were elected by regional councils, with eight more to be appointed by the president. It is somewhat odd to have a bicameral parliament in a relatively small and homogenous country with no history of ethnic or territorial cleavages, or a past history of bicameralism. 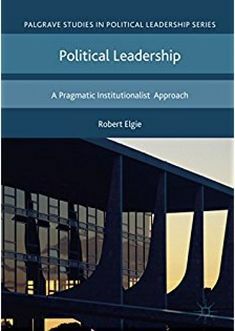 As I and Robert Elgie argue in a recent comparative paper that examines bicameralism in partly and non-democratic regimes, such senates however are often necessary to make sure that the executive is able to control the parliament even in the unlikely event of the lower chamber falling under the control of the opposition. It can also provide additional patronage jobs, or serve as firewall against possible impeachment attempts in the future. The introduction of a second chamber in Belarus in 1996 validates that argument rather well. Over eight hundred international and thirty thousand domestic observers monitored the election. Many observers reported the inflated turnout figures that did not correspond to their own independent counts of turnout, as well as the incidents of ballot stuffing and carousels where people cast their votes repeatedly in multiple polling stations. No surprises then. The head of mission for the NIS observers, Sergei Lebedev (333 accredited international observers came from the NIS) however did not see any problem whatsoever and recognized the elections as free and fair. The NIS observers have been present in the increasing numbers in many post-Soviet elections across the region and they always find such elections “free and fair” thus giving the incumbent governments useful TV quotes to counteract Western criticism. In contrast, the US State department, while recognizing “some improvements in the electoral process,” also noted “that alternative voices will be represented in parliament for the first time in 12 years. Still, the elections fell short of Belarus’ international obligations and commitments to free and fair elections.”  The OSCE ODIHR report was equally reserved, acknowledging “visible efforts to address some long-standing issues, but a number of systemic shortcomings remain” . In summary, the ball is probably in the court of the EU and US now. The Belarusian authorities have not done anything terrible, and in all likelihood they believe that with a new assertive Russia, the Western governments, even if not the international organizations such as the CoE or OSCE, are looking for any excuse, any positive signs, however small, to resume the relations with Belarus. They think they did just that, small positive steps. Will the two female opposition members of parliament, and few meaningless improvements in election process, be enough? There is a lot at stake. The economy is no longer what it was, and Belarus badly needs the credit from the IMF, the opportunity to draw funds from the EU if possible, as well as the overall normalisation with the EU and US. This entry was posted in Belarus, Europe and tagged Belarus, legislative election on October 5, 2016 by Robert Elgie. Last week was a good week for two different Belarusians. They both ran in elections; they both beat other candidates; and they both won. Even though the two ran in different elections, both elections had something in common – it was not entirely clear what the genuine level of support for the winners was and how the votes were counted. The difference is that one Belarusian ran against genuine and formidable opponents with her election coming as a genuine surprise, thus fulfilling the ex ante uncertainty criteria for a democratic election. [i] Another Belarusian had the election staged, all but handpicked his own opponents, and was all but assured of his victory. The first winner, Svetlana Alexievich, won the 2015 Nobel prize in literature on 8 October – the first Belarusian with a Nobel prize in literature, a historic event for a small nation. We are not entirely sure how the Swedish Academy evaluates and selects the Nobel winners. We know however that Alexievich had been nominated several times before but was defeated by other candidates. We also know her record; she was selected “for her polyphonic writings, a monument to suffering and courage in our time,” for her remarkable record in reconstructing individual experiences during the Second World War, the Soviet invasion of Afghanistan, Chernobyl nuclear disaster, among other things. In 2015 she ran against well-known Japan’s Haruki Murakami and Norway’s Jon Fosse. The other winner was of course the Belarusian President Alexander Lukashenko. Three days following Alexievich victory, on 11 October 2015, Belarus held a presidential election. The incumbent president, in office since 1994, ran for his fifth term, and won. How could he not? In contrast to the Nobel election, there was no ex ante uncertainty whatsoever and the identity of the winner was known in advance. He was nominated in 2001, 2006 and 2010 and never lost. In 2015 he won again despite the fact that the unreformed Belarusian economy has lately begun to reveal the limits of state regulation. His record was not all bad as the country still had relatively low unemployment and a social safety net, but lately it had dawned on many that the president and the authorities had no answers as to the road ahead. The president’s rivals were also no “haruki murakamis” of politics. The ritual of elections ran like clockwork. Practice makes perfect. The incumbent president dominated the airwaves; he abstained from the televised debate with other candidates so that nobody had any illusions whether the president and his challengers were on equal footing. The election commission and all polling stations were staffed by president’s appointees and by public sector employees dependent on the state. But this was an old and established electoral practice, a faithful reconstruction of the textbook’s menu of electoral manipulation close to what was described by Andreas Schedler[ii]. Previous elections of 2001, 2006 and 2010 were conducted in precisely the same manner. Two things were different however in 2015. In contrast to earlier elections when the president could claim positive economic results and point to optimistic forecasts, this time there was nothing to boast about. The collapse of oil prices affected not only the economy of Russia but also that of Belarus, which depends on the exports of its oil refinery products for public revenue. Similarly, the new sanctions against the Russian regime affected many Belarusian industries dependent on exports to the Russian market. Even though some Belarusian exporters quickly sensed new re-export opportunities, relabeling EU products as produced in Belarus, exporting to Russia “Belarusian” jamon, camembert and even shrimp (Belarus is landlocked), by and large the ongoing negative economic situation in Russia heralded serious economic trouble for Belarus also. In fact, and in contrast to previous elections that in the run-up to the voting day featured the so-called “All-Belarusian Congresses” where the president reported to the nation on economic achievements of the preceding five years, in 2015 there was nothing really to report and the authorities decided to scrap the congress quietly. In a way, President Lukashenko’s main opponent in 2015 election was the economy – the incumbent ran without his usual ability to claim “performance” legitimacy and no clear economic strategy for the future. The second thing that was different in 2015 was a changed international environment around Belarus. It augured both well and not so well for the incumbent. On the one hand, the Russian annexation of Crimea in 2014 and the ongoing conflict in Eastern Ukraine made the Belarusian president wary of further integration with Russia and perhaps even about his own prospects. At the same time, the conflict also presented the Belarusian president with an opening to side-step possibly awkward questions about the economy and instead to center his 2015 campaign message on his ability to preserve peace in Belarus. In fact, many pundits argued that Lukashenko was able to capitalize on the crisis in Ukraine like nobody else and emerged as the only winner. Indeed, Lukashenko, a close ally of Russia, surprisingly chose a manifestly neutral position regarding Ukraine and advocated for its territorial integrity repeatedly. At the same time, he however never went as far as condemning the Russian annexation of Crimea. Instead, Minsk proposed to mediate the conflict and hosted several high-profile meetings of foreign dignitaries. Also, sensing the opportunity to lift his pariah status in the new environment where a non-recognition of Crimean annexation may be more important than his own human rights record, Belarusian president released political prisoners in the run-up to election and signaled his willingness to engage with the EU anew. The dramatic events in Ukraine equally influenced Belarusian pro-democracy activists and the public at large. Previous 2001, 2006 and 2010 elections equally lacked transparency and the authorities had a proven mechanism to deliver the desired results. However every time in the past the opposition was hopeful that it could capitalize on the electoral campaign to deliver their message and perhaps to launch mass collective action in the aftermath, inspired by the 2004 street protests in Ukraine. Even though the 2010 post-election protests in Minsk were crushed by the well-prepared police force, they were surprisingly numerous. The mass casualties during protests in Kyiv in 2014 and subsequent conflict in the Eastern Ukraine however cooled the mood in Belarus. In 2015 even the most committed democratic activists downplayed the possibility, and did not advocate post-election protests, urging people to boycott the election instead. Thus, even the remote possibility that a post-election protest may somehow sway the situation was off the table in 2015. Not all decided to boycott however. Apart from the incumbent president, three other candidates were registered. First, Sergei Haidukevich of the Belarusian Liberal Democratic Party, a regular feature of all presidential elections, ran again. Second, Nikolai Ulakhovich, representing Belarusian “Cossacks”, was nominated for a first time. Both candidates did not campaign against the incumbent president and were arguably only placed on a ballot as back-ups should the pro-democracy candidate withdrew or did not participate. Third, and the only pro-democratic candidate, Tatiana Korotkevich was nominated by “Govori Pravdu” (Tell the Truth) public campaign that fielded Uladzimir Niekliaeu, a well-known poet, as presidential candidate in the 2010 election. Her participation was somewhat controversial as many pro-democracy activists accused Korotkevich of legitimizing the regime. Still, she carried a remarkably spirited campaign centering her message on the necessity for peaceful change as opposed to more radical slogans. In fact, her decision not to challenge the authorities head on, her moderate message of economic and social populism may have been precisely what pro-democracy forces in Belarus have been looking for in vain all these years. According to the IISEPS opinion poll, the popularity of Korotkevich has grown significantly since September. Her support base was also different from that of traditional opposition electorate, i.e., more moderate. [iii] It is a pity then that we will never know what were the real vote shares for Korotkevich, or what those vote shares would have been in the event of a genuine election. Lukashenko stayed on his message as a guarantor of peace and stability throughout the campaign. On 2 October he, a self-declared atheist, even participated in a novel public action, “A Prayer for Belarus” in front of the All-Saints church in Minsk. His clear message of peace to the electorate was however disturbed by his Russian counterpart, Vladimir Putin, who out of sync with his Belarusian ally declared his intention to establish a Russian air force base in Belarus on 19 September. Perhaps, unable to support their ally with the same amount of financial aid, the Kremlin decided to anchor Alexander Lukashenko for good. The plans met with numerous loud grumblings in Belarusian social media and generally received a negative reaction across the country. On 4 October the opposition had a small rally for “Peaceful Skies” in Minsk. Even though the rally was not very numerous, on 6 April 2015 Lukashenko felt the public mood and was compelled to comment on the subject of a Russian military base in Belarus. Rather cryptically, he underlined “There is no need for that base today. Especially the air force. We need specific weapons systems instead.”[iv] Then he added that he did not discuss it with anybody specifically. [v] While the Belarusian president was in all likelihood very reluctant to have a Russian military base established in his country that may ultimately put a stop to his careful foreign policy balancing act between the East and the West that he had been so good at until now, it is not entirely clear how he can possibly talk himself out of it. Ask and you shall receive. The vertikal that oversaw the election process met the desired targets on 11 October. According to the preliminary official announcement in the early hours of 12 October, President Lukashenko obtained 83.5%, Korotkevich 4.42%, and Haidukevich and Ulakhovich 3.32% and 1.67%. Despite the widespread apathy in the run-up to election, the official turnout was whopping 86.8%. [viii] There is clearly no surprise about the declared election outcome. The dominance of the incumbent in the media, the apathy of voters accustomed to leader’s supermajorities in every election, control over election process from start to finish could not have produced a different outcome. Belarus is a relatively homogenous country without ethnic, linguistic or religious cleavages. It is perhaps ironic that the factors that would have improved its chances of democratic consolidation also make it difficult to mobilize the public and challenge the ruling regime. But you can’t have it all. Many criticized that Korotkevich’s candidacy legitimated the election for the Western audience eager to engage with Belarusian regime. Others equally criticized other opposition leaders who urged to boycott the election. In fairness, in the past the pro-democracy activists have tried almost everything, whether boycotting, or fielding one unity candidate, or two, or several at the same time, choosing a candidate from the “nomenklatura”, or a cultural figure, young and old, urging mass protests or appealing for calm. But they could not sway the majority. They could certainly not sway the electoral officials. How could they? Belarusian regime is strongly personalist. It is also, as Henry Hale[ix] describes, patronal: President Lukashenko, 61 years old, who had term limits lifted in 2004, is neither weak, old, nor has he ever expressed any intention to depart that may have influenced his officials in his patron-client pyramid that has been in place for two decades. [x] Almost at the very end of this uneventful ritual of an election where neither the public, nor the incumbent, nor his challengers counted on or even pretended that they anticipated anything but the president’s victory, the unexpected victory of the Nobel prize by Svetlana Alexievich somehow brought these two different contests into stark contrast. Two different victories, two different Belarusian winners that week. Time will pass and only one victory will be remembered. [i] Adam Przeworski, Michael E. Alvarez, Jose Antonio Cheibub, Fernando Limongi 2000. Democracy and Development. New York: Cambridge University Press, p. 16. [ii] Andreas Schedler. 2002. “The Menu of Manipulation” Journal of Democracy 13(2), 36-50. [iii] See http://www.iiseps.org/analitica/850, accessed 9 October 2015. [iv] See http://news.tut.by/politics/467477.html, accessed 9 October 2015. [v] It is not entirely clear what the president meant or whether his rhetoric indicated that he was reconsidering the agreement but the public record indicates that Belarus and Russia did discuss the subject of a Russian air base before. It was Russian defense minister Shoigu who following his meeting with Lukashenko in April 2013 went public about the plans on the Russian airforce military base in Belarus for the first time. Other Russian officials, including Sergei Lavrov and Dmitry Medvedev, also spoke about the military base, and implied that the question was settled and that only details on the terms of the agreement were still to be decided. [vi] The observed and frequent supermajorities in non-democratic elections that are way above 50% vote shares necessary to win may be counterintuitive. Indeed, if one wins with 51% what is the point of aiming at 75% or higher? Alberto Simpser argued that such supermajorities however are instrumental and serve to project regime or leader’s invincibility to the public and the opposition so that the public remains apathetic and the opposition is more likely to be co-opted. See Alberto Simpser. 2013. Why Governments and Parties Manipulate Elections. Cambridge University Press. Milan Svolik and Ashlea Rundlett argue that supermajorities may be driven by the eagerness of electoral officials that oversupply votes for the ruler, see Milan Svolik and Ashlea Rundlett, “Deliver the Vote! Micromotives and Macrobehavior in Electoral Fraud” forthcoming, American Political Science Review. [vii] See http://news.tut.by/politics/467477.html, accessed 9 October 2015. [viii] See http://vybory2015.by/, official portal of the Central Election Commission, accessed 12 October 2015. [ix] Henry Hale. 2014. Patronal Politics: Eurasian Regime Dynamics in Comparative Perspective. Cambridge University Press. [x] In 2015 it was no different from earlier elections then. There was again a remarkably high number of voters — 36% — who could not find the time to cast their ballots on election day itself. Even though there was only one day designated for election, 11 October, from 5 to 10 October the polling stations were open so that everybody was able to cast her ballot in advance. The voters were not only not required to prove their need to vote in advance — they were encouraged to do so. De facto therefore there was not a single election day but election days — 6 days altogether, from 5 to 11 October. Even though an early vote is a voluntary decision, the authorities canvassed voters to cast their ballots early, and numerous groups dependent on the state, i.e., teachers, public sector workers, students, were compelled to vote early. Alexander Baturo is Lecturer in Politics and International Relations at Dublin City University. He works on various aspects of comparative democratization, particularly presidentialism and personalism across the world, comparative political leadership, and post-Soviet politics. He has published in journals such as Journal of Politics, British Journal of Political Science, and Post-Soviet Affairs. His book, Democracy, Dictatorship, and Term Limits, was published by University of Michigan Press in 2014. This entry was posted in Belarus, Europe and tagged Belarus, presidential election on October 14, 2015 by Robert Elgie.